HockeyPucks hiking and highpointing: Pico Peak - 3957 Ft. Parking can be found at the height of land on route 4. There is a large parking area on the western side of route 4. Depending on the vintage of your map (or mapping software) older maps show the Appalachian Trail / Long Trail passing through Sherburne pass. The AT / LT was re-routed in the mid-2000's and descends the northern side of Pico peak and no longer follows this route. Pico can be climbed by the Long Trail / AT, the ski trails. The Sherburne Trail route described below is a third option. Pass through the gate and continue along the wide gravel road. Sign the hiking log book and ascend moderately to a 2300 Ft. knob. The trail flattens a bit but the grade increases to a moderately steep incline to a 2640 Ft. knob. The moderately steep incline remains for the duration of the Sherburne Trail. As elevation increases to approximately 3000 feet you reach a series of switchbacks to 3500 feet elevation and a point where the Sherburne trail merges with one of Pico's ski trails approximately 2.0 miles from your starting point. For the shorter and steeper variation follow the ski trail to the summit. The Sherburne trail levels out and follows the 3500 foot contour around the perimeter of Pico approximately 0.5 miles to Pico Camp Shelter. From here the Pico Link trail ascends to the right of Pico Camp and steeply climbs 0.4 miles to the 3957 foot summit. Pico is a good quality hike which offers a few outlooks along the trail however it is primarily wooded until you reach the summit. There are great views from the summit. At 4241 Ft. Mt. 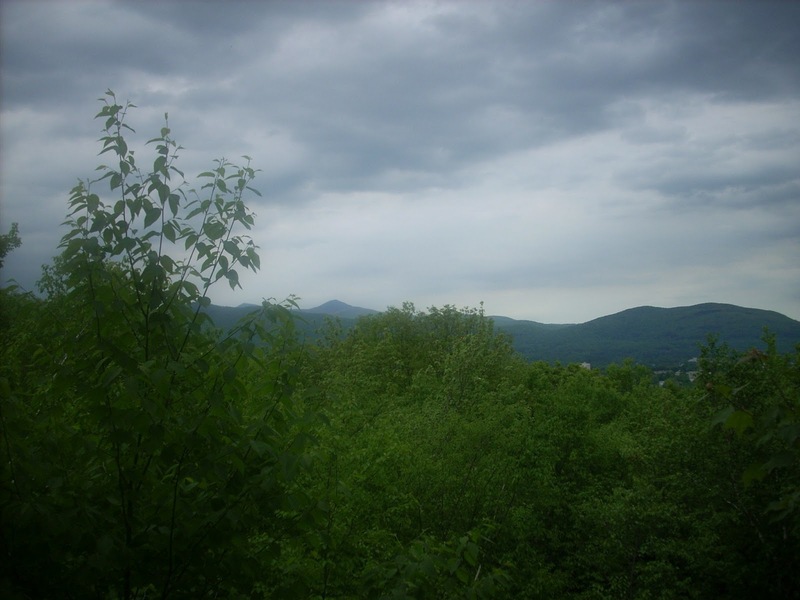 Killington is the highest peak in the area however the prominent pointed summit of Pico is more noticeable and more attractive than the nearby Killington. For hikers wanting more of an adventure Mt. 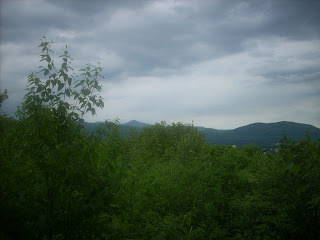 Killington can be reached by following the LT / AT south from the Pico Peak summit for 2.75 miles.